Trust Master Plumbing to help you find the right on demand water heater for your Darnestown home! Your water heater is one of the most used appliances in your Darnestown home. Whenever you take a shower, do the laundry, or wash the dishes, your water heater provides you with enough hot water to get the job done. Master Plumbing is here to make sure your Darnestown hot water heater is doing its job. 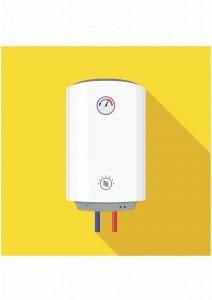 Whether you are replacing your tired, old water heater, or choosing a water heater for your newly constructed Darnestown home, you should consider an on-demand water heater. On demand water heaters only heat water when hot water is required. Unlike conventional models, they aren’t continuously trying to heat up to 80 gallons of water. This on-demand heating can greatly reduce your Darnestown energy bill! Since on demand water heaters only heat water that is needed, they use 30-50% less energy than other models. That’s a lot of savings! Master Plumbing will help you through every step from finding the right tankless water heater to installing it in your Darnestown home. On demand water heaters come in a variety of sizes. They will all provide a continuous stream of hot water whenever it is needed. However, that is only possible if the unit chosen is large enough for the home it’s in. If it is too small, someone who is taking a shower might get a very unwelcome surprise if someone else needs to do some dishes. On demand water heaters can last up to 20 years. This means that you will have a dependable source of hot water in your Darnestown home for years to come. Planning on selling? An on-demand water heater can add to the value of your home. Your Darnestown on demand water heater only heats water when it is required, so it is much safer than models with tanks that are pretty much always on. Some of the more recent models have systems that constantly monitor the pressure and flow of the water. If there is ever a malfunction, or even a failure, you would be alerted to the problem immediately. The type of water heater you need will depend on the size of your Darnestown home and the type of fuel source available. Give Master Plumbing a call at (301) 650-9100 or contact us online to get more information on how our expert plumbers can help you with your Darnestown home’s plumbing system. We have received Angie’s List Super Service Award recognition for plumbing and drain cleaning every year since 2007, in addition to the Best Plumber award from Best of Bethesda. We are fully licensed, bonded, and insured and our service is unparalleled. Give us a call today—you won’t regret it! To see examples of our projects, follow us on Facebook, Twitter, and Pinterest.